The Altair 818 Hornet is an excellent upgraded version of the company’s original drone. It’s still very beginner-friendly thanks to multiple speed modes, headless steering and the ability to hold altitude. However, it also has much better utility for photography and videography thanks to a long battery life and a very stable hover. See the best price for the 818 Hornet on Amazon USA, or Canada, UK, Australia & Other International Shoppers click here, see their International Shipping rates here. 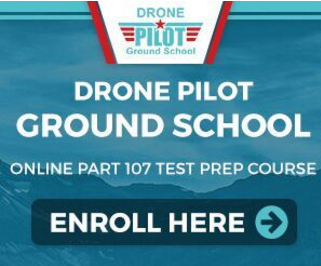 Hello, fellow drone enthusiasts! Earlier this year I reviewed the AA108, the first drone offering from Altair Aerial. It quickly became one of our favorite beginner or hobby drones here at Dronethusiast, so when we found out the company was releasing an upgraded version called the 818 Hornet, I jumped at the chance to review another fine drone from this fine company. And while it’s got a few problems here and there, I certainly didn’t come away disappointed. The 818 Hornet comes in a large box with plenty of padding and – unlike the AA108 – a handle. This is a pretty big deal because Altair currently doesn’t sell carrying cases for their quadcopters, and the Hornet is way too big and unweildy to carry on its own. Because of its size (in part), this drone actually requires some assembly which the AA108 did not. But there’s nothing particularly taxing – you’ll have to attach the props, the landing gear, and the large camera unit, which hangs from the bottom of the drone. Attaching the landing gear requires a screwdriver, and the controller takes 4 double-A batteries. The instructions are very clear and helpful here, and all told it took me 15 minutes between opening the box and having a flight-ready drone. Setting up the mobile app (Flyingsee by UDI Rc) on my phone was also very easy. All I had to do was download the app, turn on the drone, connect to it on Wi-fi, and push one button, and suddenly I was in full control of both the drone and its camera. Pretty cool stuff. This app streams FPV video which can also be viewed in VR, but I didn’t have a headset to test that with. Frankly, if VR is really important to you, you’re probably already looking into a higher-end drone than the 818 Hornet. One small detail that I really appreciated was the little cardboard insert that came on top of the transmitter (pictured). It acts as a sort of quick reference for which button does what, and because it’s nice and big and can be put over the device during use, it’s much more convenient than the direction book and makes it basically impossible to forget what you’re doing. It’s one of many small details that makes the 818 Hornet such a forgiving device for newcomers. The 818 Hornet is a little too big to fly indoors, so I took it outside. Like its predecessor, it’s very easy to fly and control, and pilots of all skill levels should have no problems with the drone. There’s three speed modes, ranging from very lenient to surprisingly fast. Heading Hold mode. In this flight mode, the front of the drone is always set to the side facing away from you, which means that you don’t have to worry about correcting for right or left if the wind spins the drone. 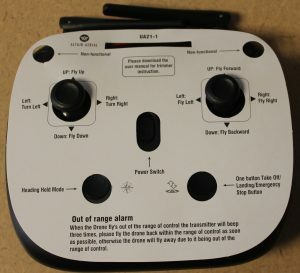 It’s a much more natural way to learn how to control a quadcopter, especially if you’re familiar with the videogame-like controls employed by the 818 Hornet. One-touch takeoff and landing. This is more or less exactly what it sounds like – instead of having to get the drone into the air yourself or worry about landing it carefully, a single button will do the work for you. Alarm systems. 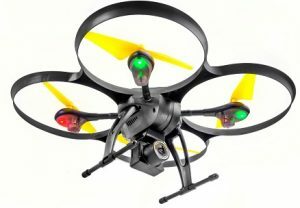 The drone beeps and has flashing lights if it gets out of range or low on battery. It also lands itself automatically before the battery dies in order to prevent crashes. Altitude Hold mode. This allows the drone to hover at the same position in the air. It’s especially useful for photography. The Altair 818 Hornet is also highly durable, just like the AA108. I was recording in Nebraska, where it’s extremely windy this time of year, and the drone flew out of control and into a lake (yes, that’s true, and yes, I’m ashamed). None of the electronics were damaged – after a quick towel off, the drone flew perfectly. PLEASE note that your mileage may vary here. It also has much larger prop guards than the AA108, meaning that it shouldn’t sustain much damage during a crash. This is incredibly important for beginners, who are more likely to cause accidents than experienced fliers. However, while the shape of the drone is (according to Altair’s marketing copy) a lot more stable and aerodynamic than the AA108, it means that a problem with the original drone has been made much worse: its performance in wind. I’m not just talking about the strong gust that carried mine into the lake. The shape of the prop guards and the slightly increased weight and shape means that the drone gets carried off in nearly any wind. In fact, I took it and the AA108 out at the same time to test them, and despite being smaller, the 108 remained steady in the air while the Hornet got carried away. This isn’t necessarily a deal-breaker – it’s a concern that comes with every hobby drone – but it’s something to keep in mind if you live in an area with a lot of inclement weather. The 818 Hornet’s best new feature is its 15 minute flight time. 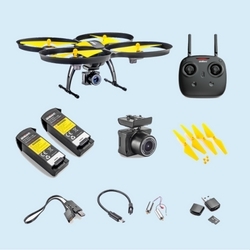 This is almost completely unheard of in drones under $500. And that’s off of a single battery – the Hornet comes with two, meaning that you can fly the quadcopter for 30 minutes at a time. Obviously, any recreational user can enjoy this feature, because it means you get to spend more time with your cool new toy. But the best feature of this longer battery life is that it makes shooting photos and video much easier. 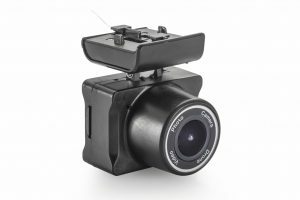 Like the AA108, the Hornet comes with a 720p HD wide-angle camera. Unlike the AA108, it also comes with the ability to take video right out of the box. 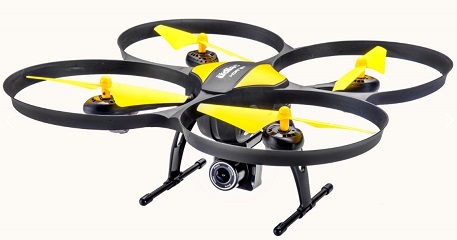 And also unlike the AA108, it can stream first-person video to the FlyingSee app from up to 60 meters away. This means that you can line up shots from much higher in the air or much farther away, which is hard to do with most quadcopters. In many ways, the Altair 818 Hornet delivers on the promise of being a straight upgrade for the AA108. It’s larger, more stable, much more durable, and comes with even more features. On the other hand, it’s also harder to control and about $50 more expensive. But where it really shines is as a camera drone. 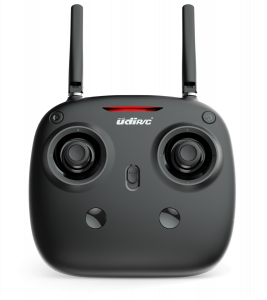 Seriously, that battery life is incredible – and combined with the other photo-friendly features, this is a shockingly good camera drone considering it costs less than $200. So if you’re looking for a way to get into awesome aerial photography without breaking the bank, look no further than the Altair 818 Hornet. Altair Aerial also has a great article on their site altairaerial.com (here) that talks about how the AA108 and the newer 818 Hornet are great for kids! The Hornet is currently available directly from the Altair site and retails for $169.80. The product ships out of Lincoln to the United States, as well as internationally to Australia, UK & Canada for $9.99 Shipping. After reading your review I ordered the 818 from amazon. It will be a gift for my 12 year old son. I think he will really love it and be able to use it quickly! I agree, I think he will love it. The 818 Hornet is a great drone for a 12 year old! Thanks! I’ll come back and post after Christmas and let you know how he does with it! What plug do you use to charge it with? It comes with a usb cable but can I use an iPhine wall plug? The 818 Hornet is a HUGE hit with my son! He loves it and had no trouble flying it pretty much right out of the box!! So glad I got it for him! And he loves all the videos and pictures taken with it.